PFM Majorca is a company based in Puerto Pollença which provide a complete range of Facilities Services along with an exceptional business ethos and an outstanding customer focused service. The company was formed in November 2012 by a professional management team with a proven track record and real expertise, who are inspiring to deliver outstanding standards of service and to influence the Facilities Industry; thus making PFM the number one choice for all property owners in Majorca. Our aim is to allow property owners peace of mind when dealing with all aspects of their rights, whilst owning property in Spain, with it being facilitated, managed and maintained in a professional manner. 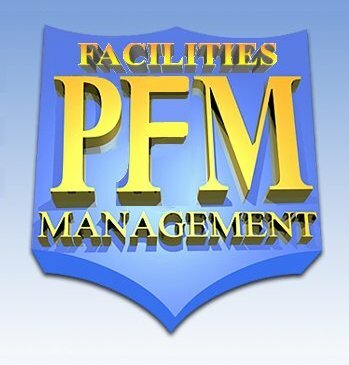 PFM Majorca is also supported by Professional Facilities Management Limited who are based in Swansea, South Wales, UK. Why Choose Professional Facilities Management? We aim to allow non-resident property owners to have peace of mind knowing that their fiscal rights in Spain are protected and their property in Majorca is being managed and maintained professionally in their absence. We know that the most important values when looking for a Property Management Company is trust and confidence, feeling safe in the knowledge that you are dealing with a professional company. 1. Our Operations Team is the reactive part of the company for all our Services. Our team will always make sure that your property is well maintained and safe. This is co-ordinated by the Operations Director and Staff to ensure we never fail to carry out the Services that you require. 2. An important point is to have peace of mind and appoint a Tax Laws Specialist. We provide full assistance regarding Taxes (Property Sales, Income Taxes, Insurances) and any administrative requirements in Spain. 3. We request that you agree a Service Level Agreement which suits your needs. This will allow us to survey your property prior to providing a meaningful Quotation. 4. PSM Security is our Consultant Company and will contribute to all our standards and working practices. The Company's Accreditations are recognised as a standard for our future operations within the Key Holding & Alarm Response Sector in the UK, which is governed by the National Security Inspectorate (NSI). 5. Our private and secure "Client Login Area" allows you to access all your data and communicate with us. 6. We know the importance of Technology and the Internet in our lives, however we also appreciate the need to get in touch face to face. In order to facilitate this we have offices in Majorca and the U.K. Copyright © pfmmallorca - Professional Facilities Management Mallorca, S.L.